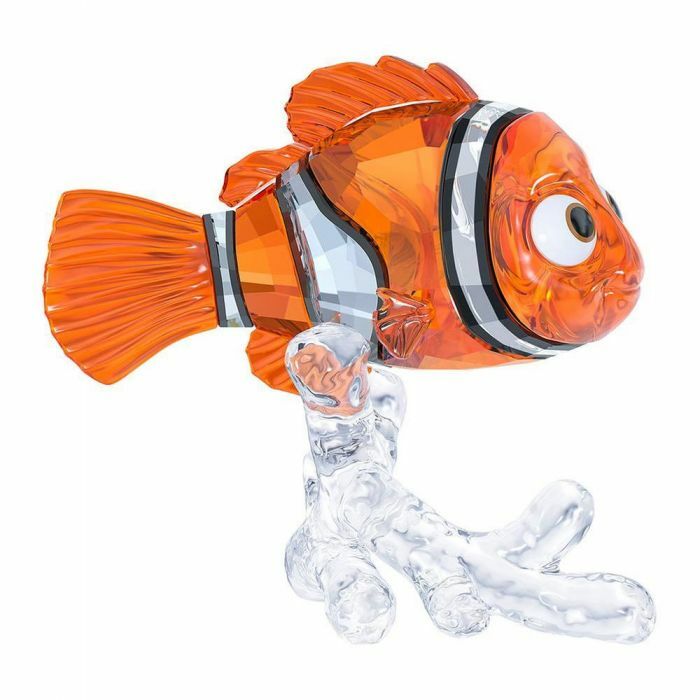 From Swarovski's Disney Collection, this sculpture of Nemo is perfect for Disney and Swarovski fans alike! This lovable clownfish was expertly crafted using orange, black, and clear crystals featuring 167 delicately designed facets. Featured on a clear crystal coral-inspired stand, this version of Nemo is perfect in its imagery, even capturing the intricacy of Nemo's smaller fin, reminding you to go watch the movie again! The figurine measures 6.3 x 6.6 x 4.2 cm. Decoration object. Not a toy. Not suitable for children under 15.